InfraWorks® software supports connected BIM (Building Information Modeling) processes, enabling designers and civil engineers to plan and design infrastructure projects in the context of the real world. Use large amounts of data to establish a model of your project's existing environment. Incorporate survey-grade data to enhance accuracy. Create roads, bridges, drainage, and more. Use tools that are fast, visual, and incorporate engineering principles. Make better decisions throughout the project with tools for sight distance, flood simulation, dynamic site analysis, and more. Visualize your design, share cloud-based models with project stakeholders for real-time feedback, and transform designs into compelling presentations. Choose between element-based or PI-based layout for more flexibility in how you design roads. Use photos to assist you when modeling features based on point cloud data. 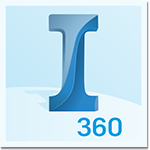 Access the specific parameters of custom bridge parts from within the InfraWorks model. Calculate underground infrastructure quantities by depth.